Let us invite our family and friends. Mark your calendar, Saturday, 16 July 2011 (from 11:00 am up to 9:00 pm). See you all there and let us have a blast! The lighted Ramp Park is located just east of the Community Center and is open daily from 9am to 10:30 pm all year. 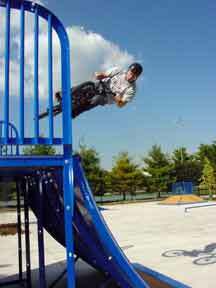 It is available for use by skateboards, in-line skaters and BMX, and is free of charge. Please be mindful of posted rules and help maintain a clean, respectful facility. Park District staff will close the facility due to vandalism, excessive trash, verbal or physical fighting, or any other unruly behavior. Concessions are available at Sammy’s Snack Shack, the concession stand at Sea Lion Aquatic Park, during all operational hours from Memorial Day through Labor Day. Please order at the outside window facing Community Park. 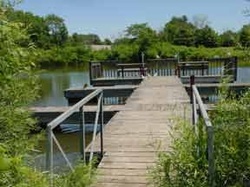 Community Park offers the best fishing available from Short Street all the way north to the Burlington Northern Railroad, and from the East Branch of the DuPage River west to the Lisle High School. Several locations around the Community Park ponds offer great spots to drop in a line. Outcropping stones, a small pier, and accessible shorelines are sure to delight even the most advanced fisherman. 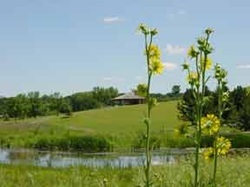 All Lisle Park District ponds may only be used between dawn and dusk. At no time shall anyone swim, wade, use a motorized boat, ice fish or ice skate in/on any Lisle Park District pond. Only non-motorized, United States Coast Guard approved watercrafts are allowed in District ponds. Additionally, all users of such boats must wear a United States Coast Guard approved personal flotation device. The shelters contain at least five picnic tables (seating approximately six adults), electricity, three garbage cans, and hot coal can. There are washroom facilities nearby.